A British whistleblower has dismissed HSBC’s proposal to move its headquarters out of London as a strategic election ploy backed by Prime Minister David Cameron to keep Labour out of power. In an exclusive interview with RT, whistleblower and financial justice activist Nicholas Wilson said HSBC brought the date of its 2015 AGM forward deliberately, so it could make the announcement. He stressed the maneuver was orchestrated to influence the outcome of Britain’s general election. Wilson argued ramped up financial regulation in Britain was not a driving force for HSBC’s disclosure. He said Britain’s regulatory climate is virtually non-existent, and operates predominantly in the interest of big business. The whistleblower insisted HSBC’s actions had been sparked by Labour’s pledge to increase the bank levy and introduce more robust regulation. He said HSBC was fearful of these policy changes, and hoped its threat of exiting the City would sway voters against Labour on May 7. 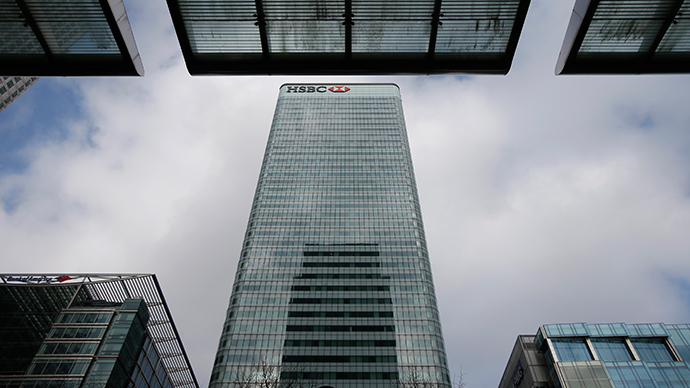 As HSBC suggests it may relocate its headquarters to Asia, many Britons have welcomed the news. Unlike Royal Bank of Scotland (RBS) and Lloyds, HSBC was not bailed out by UK tax payers during the global financial crisis. Nevertheless, it has been denounced in recent months over its role in the most serious tax dodging scandal in modern banking history. In February, it emerged HSBC’s Swiss private banking arm had aided royalty, criminals, terrorists and drug dealers in dodging taxes. The allegations were made by ex-HSBC employee and whistleblower Herve Falciani. A colossal cache of files leaked by Falciani to the International Consortium of Investigative Journalists (ICIJ) shed light on these practices. The files reportedly revealed the bank’s complicity in tax evasion and aggressive tax avoidance between 2005 and 2007. Despite HSBC's transgressions, no criminal proceedings have been brought against the bank in Britain. Speaking to RT, Wilson said these developments are a damning reflection on UK regulators and prosecutors. “HSBC are being prosecuted around the world for their tax evasion complicity, but not in the UK,” he said. 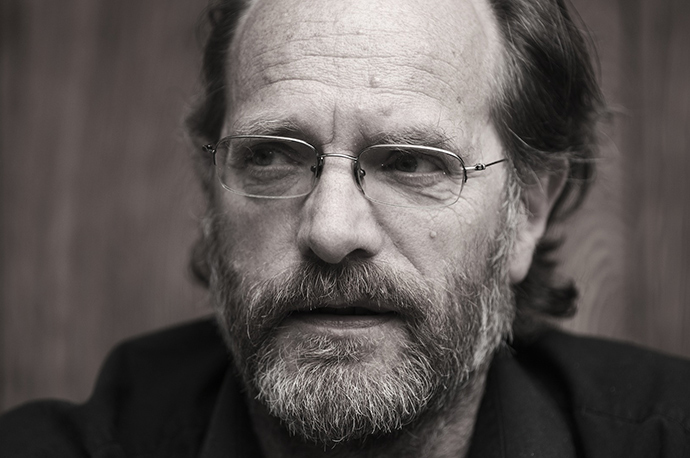 The British-born whistleblower is currently preparing a private prosecution of his own against HSBC. He maintains the bank engaged in industrial-scale fraud over a prolonged period, turning a profit of £1 billion in the process. Wilson says HSBC added unlawful charges to “delinquent” UK accounts for years, ripping off swathes of unwitting customers. Because Britain’s Office of Fair Trading (OFT) had not laid out contractual legislation for these charges at the time, Wilson insists they were in violation of UK law. Wilson discovered this criminal activity while working for a legal firm that acted on behalf of HSBC. Having uncovered evidence of what he says was white collar crime, he informed HSBC’s solicitor in 2003 about the matter. However, the bank continued to charge customers on fraudulent grounds for a further seven years until the OFT ordered them to stop, Wilson says. Despite the gravity of Wilson's claims, no legal proceedings were ever brought against HSBC for these actions. Some analysts suggest uncertainty relating to Britain’s general election has sparked concerns in British business pastures. They cite the Conservatives’ promise of holding a referendum on Britain’s EU membership, the possibility of a hung parliament and Labour’s perceived challenge to the status quo as being particularly relevant. Others have dismissed the notion that Britain’s general election hype harbors the power to drive banks and businesses out of London. Like Wilson, they don’t believe the election or the prospect of a more leftist government will rattle City investors. Despite the so-called ideological divide between Labour and the Conservatives, experts say market chaos is not predicted before or after the general election result. Stock markets are so saturated with cheap cash that investors are somewhat oblivious to the election, an analyst based at financial services firm UBS told City AM on Wednesday. UBS’ analysis was also backed by economists at Panmure Gordon, who told the paper that key players in the City of London are far more focused on US interest rate fluctuations at the Federal Reserve, the possibility of a Grexit and the slowdown of China’s economy than the fallout from Britain’s general election. Wilson remains unconvinced HSBC have any real intention of moving their headquarters to Hong Kong, where the regulatory climate is more robust. “There are no banking scandals in China because the regulators are ruthless and China has the death penalty. It’s all posturing and childish petulance,” he said.